I have another Born Pretty Store plate to share with you today and it's the sweets themed plate #20789. I picked this one for the awesome negative space images, you know how much I love those. The first look I created using Delush Je Ne Sais Quoi, a light pink crelly with mauve and mint glitters, it just screamed tea and cakes to me! Look at these adorable images! 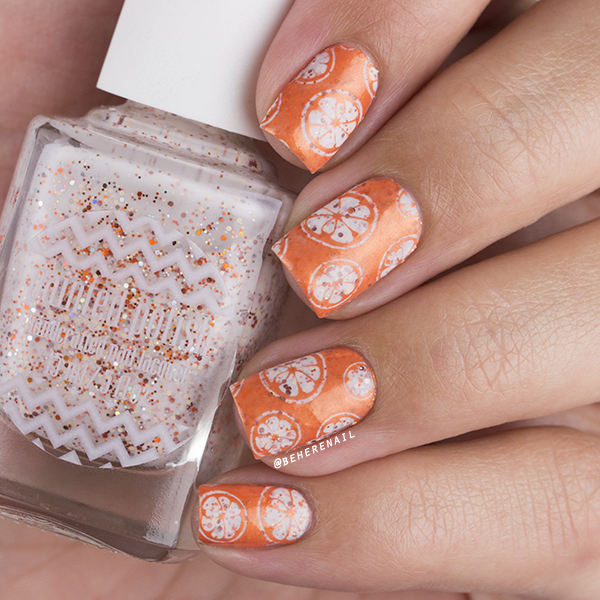 The stamping polish is Mundo de Uñas Merry with Sinful Colors Rendezvous and Mad Matter. I think you will notice I got pretty good stamp coverage in those large "open" areas of the negative space image, but it took me a minute to figure out how to scrape so that I didn't take all the polish out of the image. I used a flexible scraper card very softly, and scraped diagonally. These delicious little oranges were the same deal, a really delicate and diagonal scrape to get a good pick up. 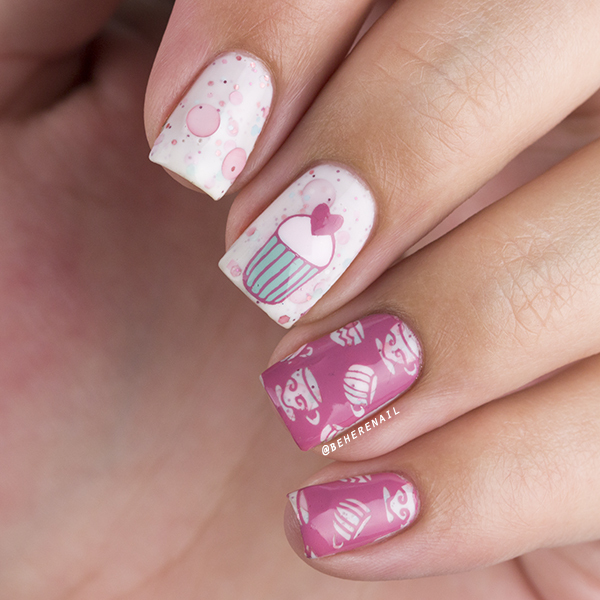 Absolutely stunning results though, this mani makes my mouth water. I love the candied look of Hit the Bottle Midnight Pumpkin, it really is perfect over Painted Polish Orange as a Creamsicle. 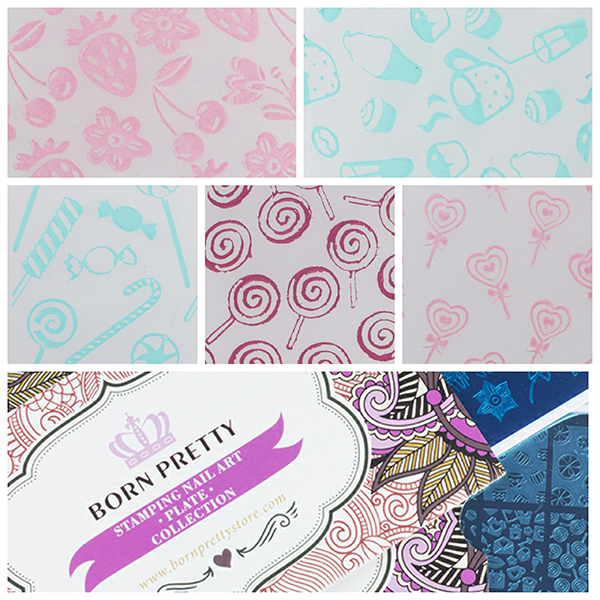 I'm leaving you with a few of my favorite images from the plate and a photo of their adorable packaging! If you can't live without them you can use my BPS code JUSQ10 on any full priced items. Until next time! That cupcake macro is just perfection, I love how the large circle glitters look in the background. I've actually always stayed away from stamping images with lots of open spaces like that, I think a while ago I tried a couple times and kept getting bald spots on pick-up. I should try again with lighter scraping! I had the same issue, definitely took me a few tries to get a good pick up! Once I got the hang of it though, it was alright. 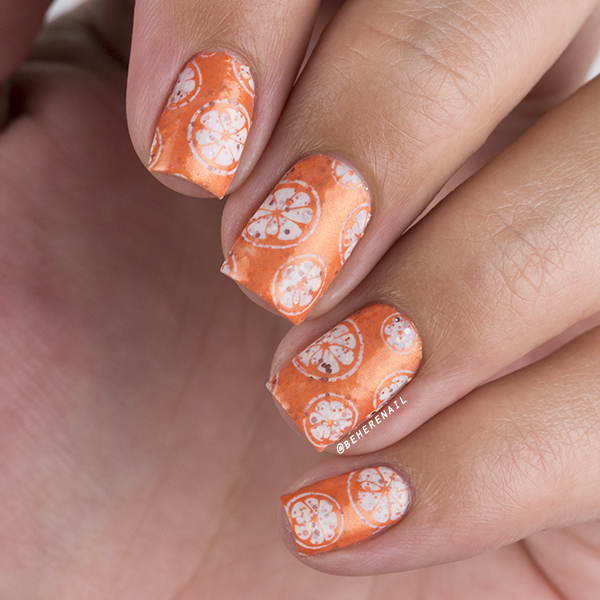 I wish the teacups and oranges were just a bit closer together though. 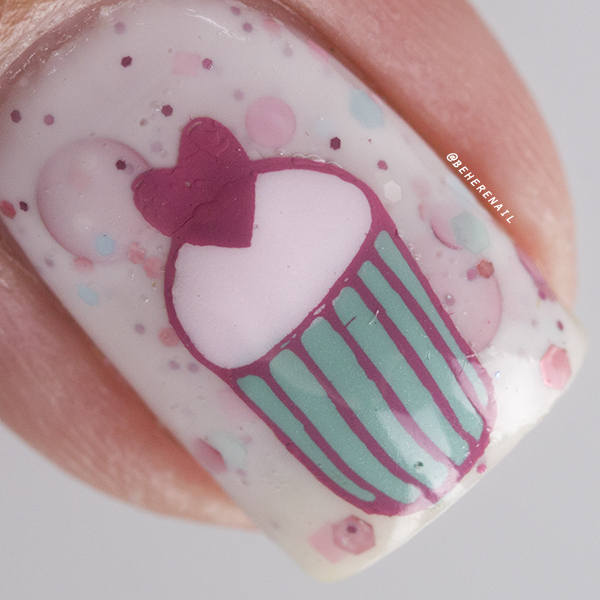 I am so glad you like the cupcake macro! 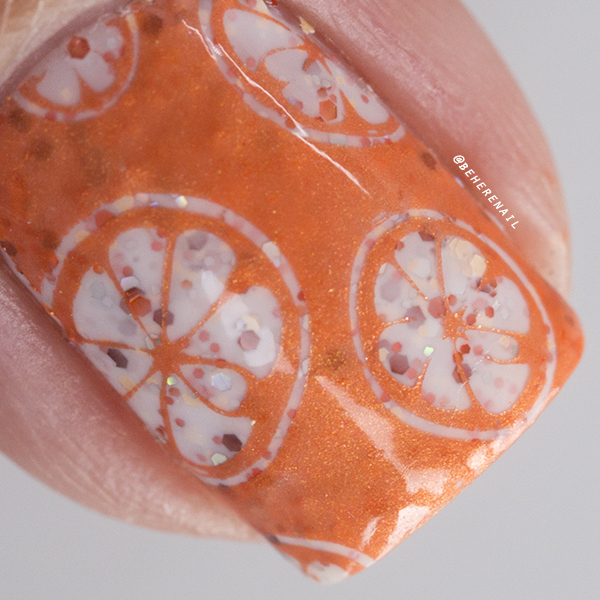 I really hate reverse stamped macros because you can see all the flaws, haha. Thanks for making me feel better about it! Hey chickie!! I picked up this plate because of your beautiful manis with it! !